Home / Fanboying! • Joss Whedon • Pretty In Pinky • Reviews / Pretty In Pinky! 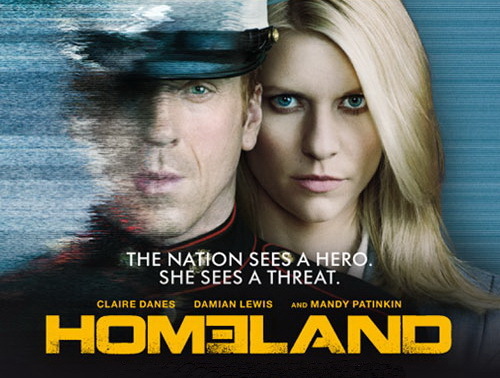 Gushing About Showtime’s Homeland And Meeting The Stars Damien Lewis! Mandy Patinkin! Morena Baccarin! But Getting An Eye Roll By Claire Danes! Doh! Pretty In Pinky! 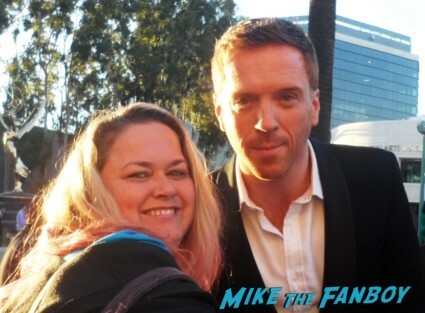 Gushing About Showtime’s Homeland And Meeting The Stars Damien Lewis! Mandy Patinkin! Morena Baccarin! But Getting An Eye Roll By Claire Danes! Doh! 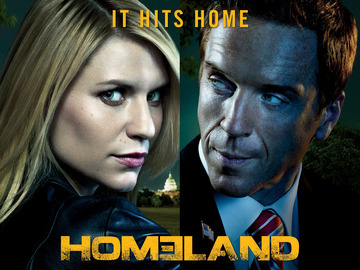 Homeland seems to be burning up the airwaves! I need to catch up on the series, but it is one of my favorites. Gosh, television is just so good right now! The series airing on Showtime fits in perfectly with their other amazing programs like Dexter, Nurse Jackie and the dearly departed Weeds. Pinky, also loves the show and decided to do a great recap of the series and meeting a number of their stars… With the exception of star Claire Danes! Doh! Check out her recap after the jump! Hello, my lovelies. 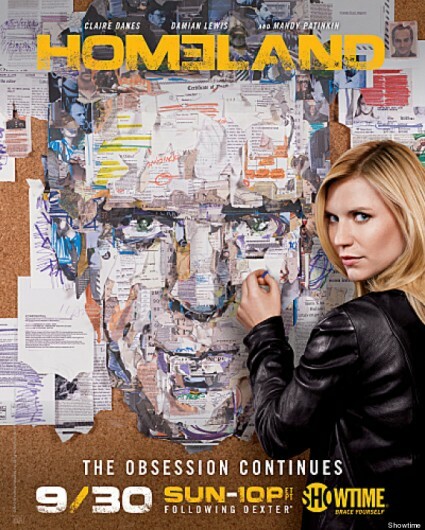 Pinky Lovejoy here still in awe of the perfection that is Showtime’s Homeland series. Trust me, if you’re not watching this show, you are missing out. There’s a reason why they swept the Emmy awards this year with awards for Best Actor, Best Actress, and Best Drama Series. Quite frankly, because it is. Now, I’ll admit that it can get pretty heavy. It’s not the type of show you watch because you want to relax and unwind and take your mind off the problems of the world. This show is HEAVY. At the same time, it’s so fantastic that you can’t help but watch it. You can’t help but be drawn into the drama, the intrigue, the mystery, the adventure. I just finished the second episode of the second season (I know, I’m a little behind) and all I have to say is WOW. This show blows my socks off. Every. Single. Time. The acting is top notch. Claire Danes has never been better. As a bi-polar genius obsessed with Damian Lewis’ character, she is the perfect combination of tough and childlike. She can go from being a high powered CIA agent to a crying, exposed mess in five point two seconds. I’m in awe of her. Likewise, Damian Lewis has the rare ability to make you almost root for his character, despite wanting to think of him as the villain at the same time. The supporting cast – Mandy Patinkin and Morena Baccarin especially – are just as great in their roles. There isn’t one weak link with this show. It draws you in from one minute to the next and you never know what to expect. The storylines are relevant, timely, and make you think. From a fan perspective, of course I couldn’t get through the article without sharing my pictures with a few of the stars. Sadly, Claire isn’t quite as easy to get, as she practically rolls her eyes anytime she’s asked, but oh well. at various events over the years and they were incredibly kind. I’m stoked to have had the honor to meet them, especially after witnessing their top-notch acting on the show. I highly recommend checking out this series, as it’s one of the best things on TV right now. If you don’t have Showtime, you should be able to get the first season on DVD. Trust me, you’ll be glad you did. For additional pink fodder, please visit www.pinkylovejoy.com or follow me on Twitter @pinkylovejoy. As always, have a pink day! Sally Ann Is Super Excited For Mad Men Star Mr. Jon Hamm Who is Totally Awesome To His Fans! Amy Adams Goodness! The American Hustle Star Is Super Nice To Her Fans! Autographs! And More! 8th Grade FYC Screening and Reception! Meeting Elise Fisher and Bo Burnham! Autographs and More!